Since March, record flooding has devastated parts of the South, including Texas, Louisiana, Arkansas and Mississippi. Thousands of residents have evacuated and major roadways closed. Presidential Major Disaster Declarations have been issued in Louisiana and Texas. 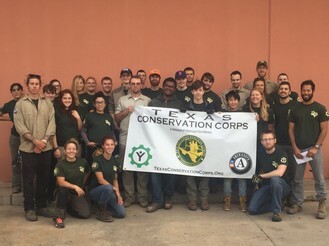 Since March, over 600 AmeriCorps members have deployed to these areas. Missouri flooding response is closing soon and remaining AmeriCorps Disaster Response Teams will return to their home base.